Data-Centric high-performance database security software. Regulatory Compliance with SOX, HIPAA, GDPR, PCI DSS and other privacy laws and standards. Hybrid Cloud Database Security on AWS, Azure, Google and On-Premise. Sensitive and PII data auditing, discovery and active protection. 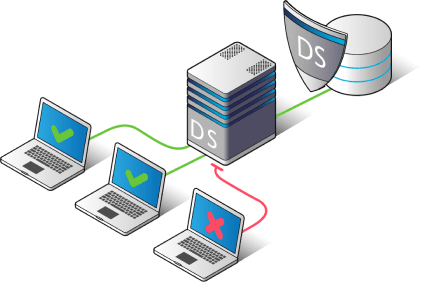 Multifunctionality of DataSunrise Database Security Suite consists in featuring wide spectrum of security appliance functionalities to ensure reliable protection of data housed within your enterprise database. Activity and access control with strict separation of duties, application user translation and protection against SQL injections are multiplied by instant alerts warning of suspicious traffic and user behavior, as well as reporting on security policy violation for timely prevention of illegal access, targeted attempts or data leaks. Customizable traffic filtering of database objects allows creating a granular security and masking policies, and enable the regulatory compliance functionality in accordance with data privacy and protection regulations to eliminate risks associated with storing sensitive information. Best practices such as multi-factor authentication (MFA), single sign-on (SSO), and privileged access management to administer DataSunrise.